The first "eco-fantasya" series on Kapatid Network TV5, "Enchanted Garden." This is not only a TV series mixed with romance, drama, and comedy but it also give a ecological awareness tips to the viewers. 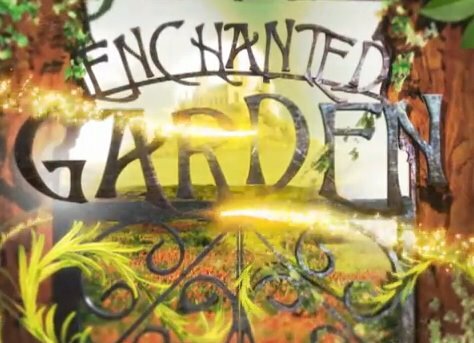 Enchanted Garden start airing this coming Monday, July 30, 2012. Staring Alex Gonzaga as "Aya" and the three diwata, Alice Dixson as "Diwani Alvera," Ruffa Gutierrez as "Diwani Valerianna," Rufa Mae Quinto as "Diwani Quassia." The 3 sisters having the powers of the sun, earth and water. Also starring, BB Gandanghari, Zoren Legaspi, Martin Escudero, Edgar Allan Guzman, CJ Jaravata, Gladys Reyes and Elvis Gutierrez. This eco-fantasya TV series "Enchanted Garden" is derected by Joel Lamangan and Eric Quizon. You may watch the video trailer below to know more about "Enchanted Garden"
Comments or suggestions about "Enchanted Garden first eco-fantasya series on TV5" is important to us, you may share it by using the comment box below.